I previously posted an interview with Ayelet Tsabari but only now had the chance to read her debut collection of short stories, The Best Place on Earth. In that interview I questioned whether an author living in Toronto, writing in English, could be considered an Israeli author. Having read the eleven stories in this collection I have no doubt as to the answer. Not only is Ayelet Tsabari an Israeli author, but her stories are compelling and compassionate; they speak out from the heart of Israeli society and experiences. In “Tikkun,” the opening story, two former lovers reunite in a Jerusalem café. Lior immediately notices that Natalie has changed. “‘Dossit,’” she says, completing his sentence and confirming the reason why she is “covering her hair, wearing a skirt down to her ankles and a long-sleeved shirt on a summer day.” Seven years since she became religious, he learns, since right after they broke up and went separate ways. Traumatic episodes in recent Israeli history play background to the other stories in the collection as well. In “The Poets in the Kitchen Window”, Iraqi missiles are falling on Tel Aviv. “Borders” takes place in the aftermath of the Israeli-Egyptian peace treaty, when the Sinai peninsula was given back to Egypt. The war in Lebanon is ongoing as the story “Warplanes” unfolds, a time when “black on the front page means many soldiers” have been killed. What really brings Ayelet Tsabari’s stories to life are her characters, people that you rarely meet in Israeli fiction. The story “Invisible” deals with the relationship between a Filipina caregiver and her Yemeni employer Mrs. Haddad, who everyone calls Savta. “Below Sea Level” brings us to the shores of the Dead Sea, where Eitan Sharabi, a fit and tanned retired Israeli officer has taken refuge due to his failing health. And “Casualties” takes us behind the scenes in an Israeli army medical base, where Yael is making ends meet by selling sick leave permissions to other soldiers. 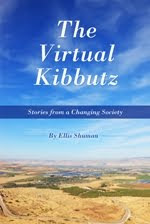 The author gives voice to Mizrahi residents of Israel. As Ayelet says in her interview, “The canonical Israeli literature is still very much dominated by Ashkenazi writers who generally depict Ashkenazi stories and characters. It may be changing and improving from when I was a child, but there’s still much to aspire for.” Ayelet’s characters, coming from their Yemeni, Iraqi, and Moroccan backgrounds, are ordinary people, with regular cares, worries, and daily struggles. The reader falls captive to their lives for a short while, and emerges from the experience with a better understanding and acceptance of Israel’s multicultural society. Short stories are most successful when you wish they wouldn’t end. The stories of The Best Place on Earth leave you wishing you could accompany the characters through additional pages and adventures. Ayelet Tsabari was born and raised in Israel but moved to Canada in her twenties. Her fiction and creative non-fiction have been published in magazines in Canada, the US and Israel. She is a graduate of SFU’s Writer Studio, and of the MFA program at Guelph University. 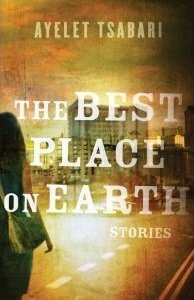 The Best Place on Earth, a collection of short fiction (HarperCollins, 2013), was long-listed for The Frank O’Connor International Short Story Award. Ayelet is also an avid photographer and she has set up a series of amazing photos to accompany her stories. 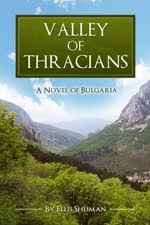 Buy The Best Place on Earth and read it now! Originally published at The Times of Israel.